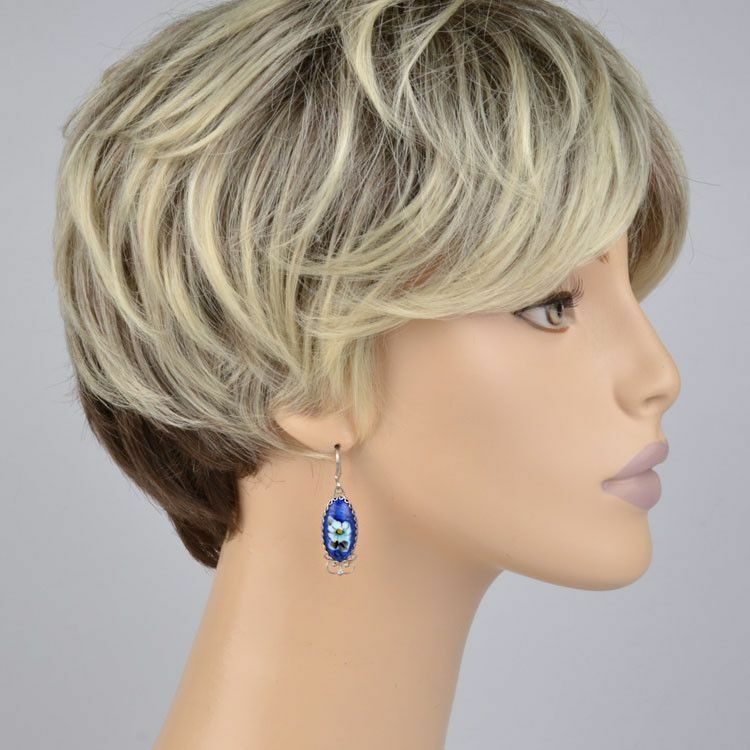 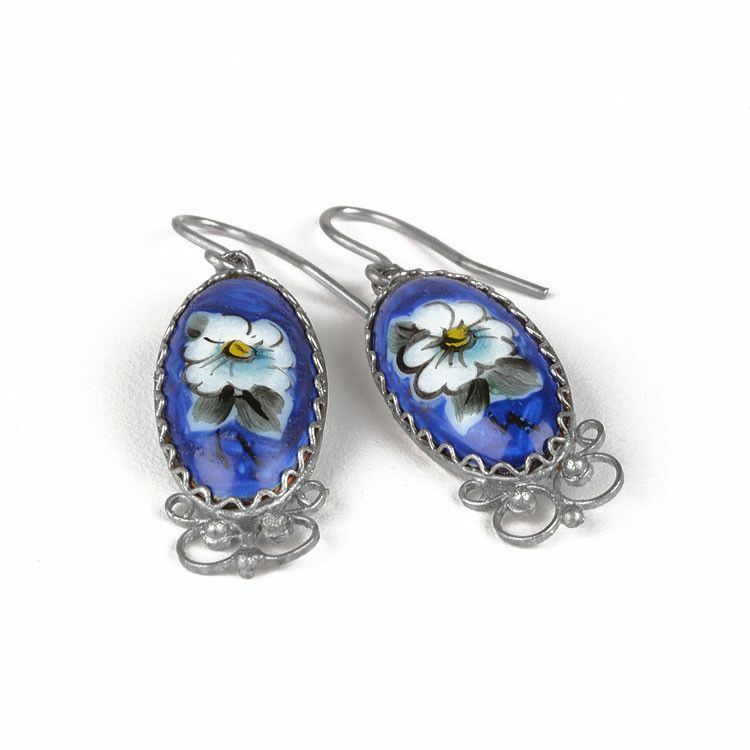 These Russian-made earrings feature a dark blue background and a painted white flower. 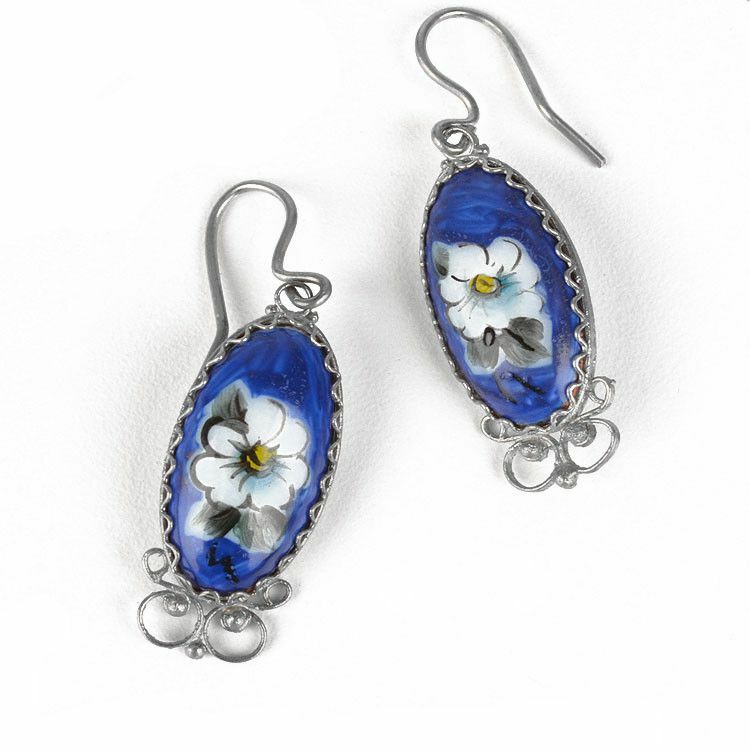 The German silver surrounding the enameled earrings add a touch of delicacy and style. 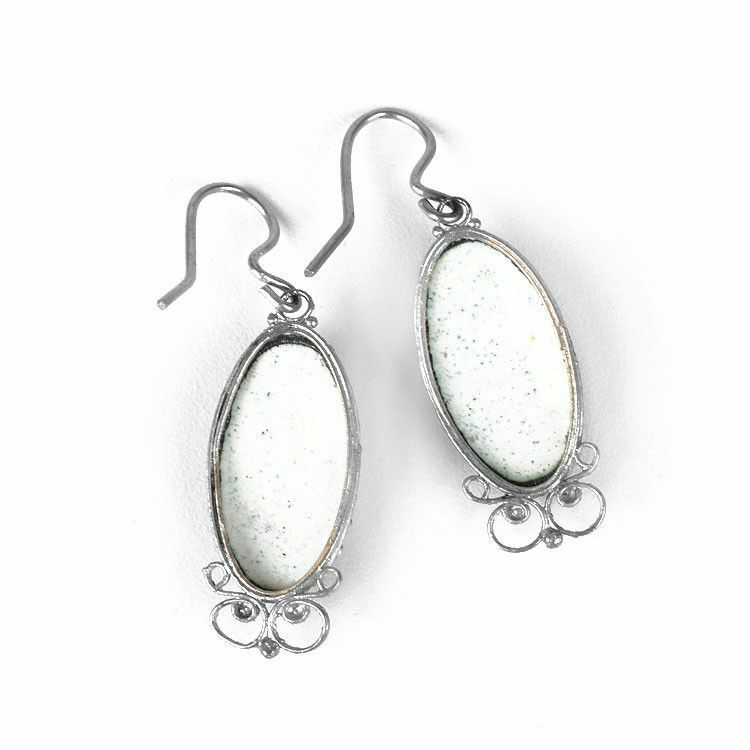 These earrings are 1 3/4" long and 1/2" wide. 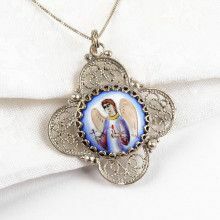 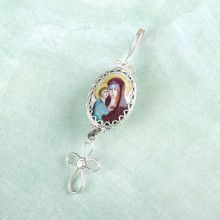 Hand-crafted with traditional Rostov Finift Enamel process.